Please link, use to educate and Share! may help with exams 3/26/19 Please Share! began reaction to five-year Soviet Union economic plans. economics, is this chapter's topic. 2. Monetary Policy will be covered in chapter 15. 3. 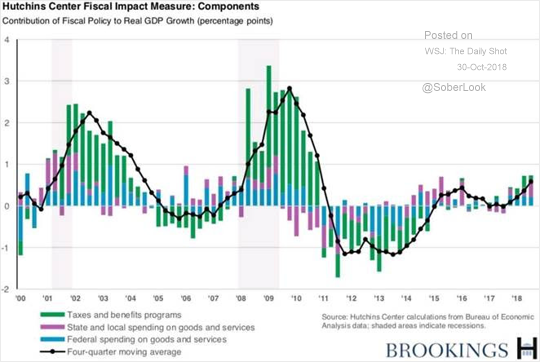 The result is a fiscal stimulus through deficit spending. 4. 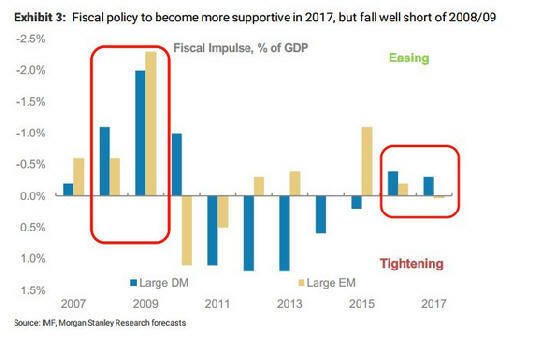 The impact of a fiscal stimulus will affect AD. 3. 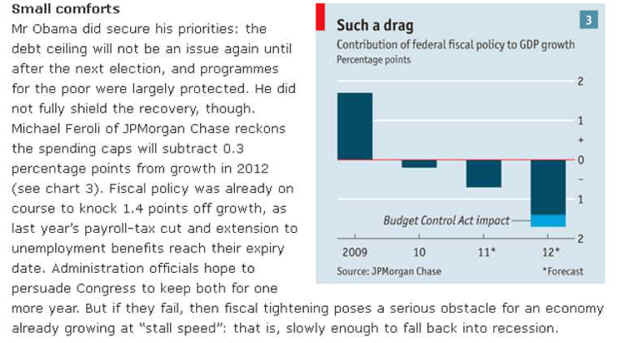 A fiscal drag with smaller deficits or a surplus results. 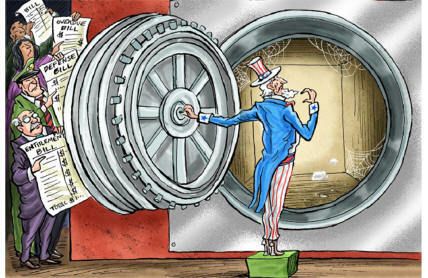 Are We Turning the Fiscal Policy Dials the Wrong Way? action during recession by increasing AD. action during inflation by lowering AD. 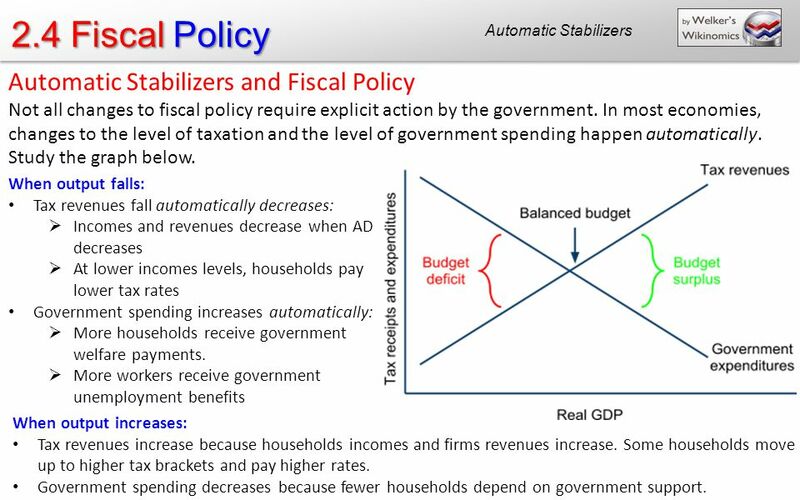 C. fiscal policy & automatic stabilizers - 8 min. during recession to increase AD. 1. Determining when recessions begin is difficult. was not time for preemptive action. time to expand capital investment. 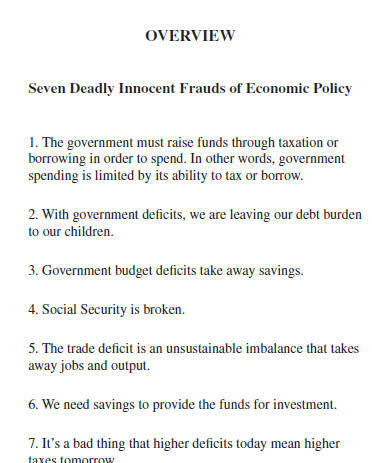 and has rendered fiscal policy ineffective. 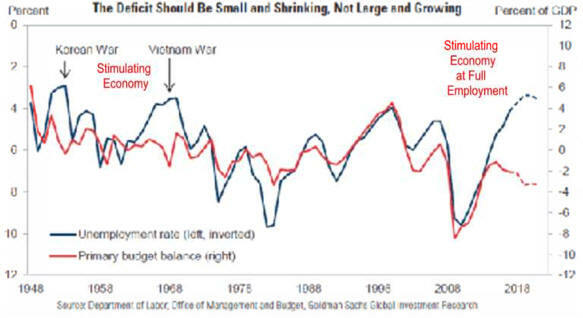 wars has again increased the deficit. 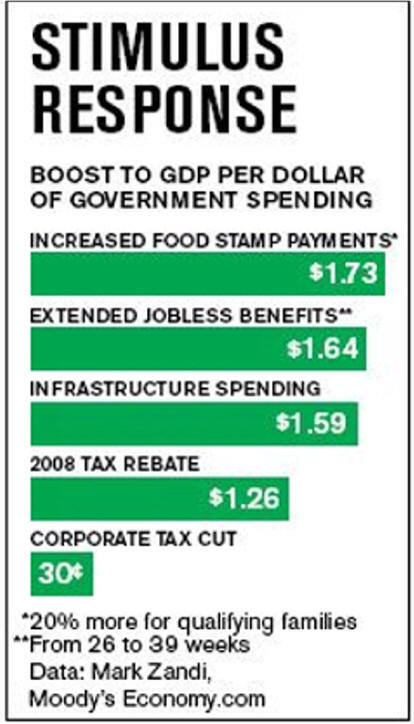 the Stimulus of 2009- 2011. F. Fed Uncertainty In Assessing The Economic Effects Of Tax Cuts. caused by federal fiscal responsibility. 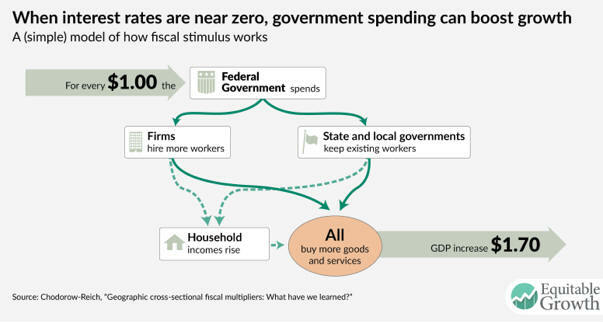 about the fiscal drag caused by a federal surplus. 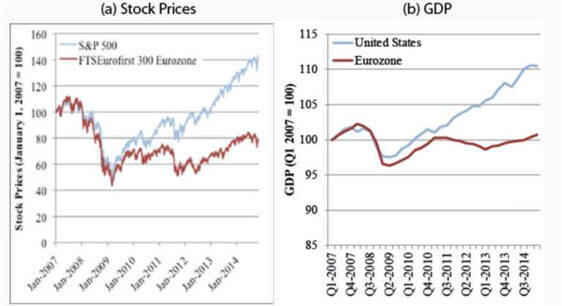 In Europe Austerity Was Either Neutral or Destructive. 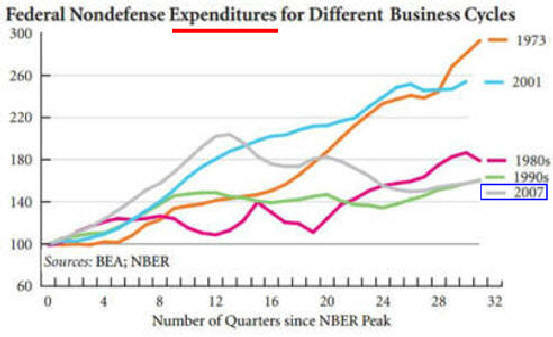 unfinanced wars, a tax cut, and private debt expansion. 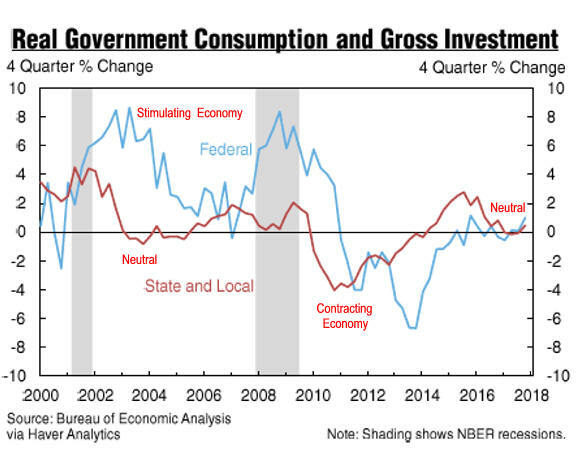 In the initial months of the stimulus, the net government contribution to GDP growth was positive. 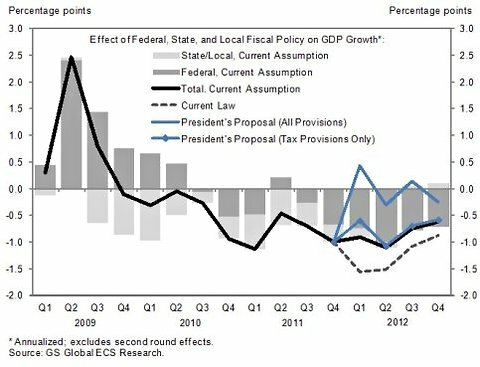 As the severe recession impacted government budgets, however, state and local cuts mounted, ultimately offsetting stimulus at the national level.